Against a required production growth rate of nearly 11 per cent during FY2016-17, Coal India is likely to close the year with a 2.5 per cent growth and a 2 per cent rise in sales over the previous year. “We hope to achieve a 2.5 per cent production growth by the end of this fiscal and sales are likely to witness a 2 per cent growth," a senior Coal India executive said. The official said Coal India's production was majorly impacted this year by issues at the Talcher mine and those related to rehabilitation and resettlement. Less than anticipated power demand growth led to lower sales. This in turn increased stocks at pit heads ultimately affecting production.At present, some 100 million tonnes of coal stock is available at pit heads and thermal power plants. Coal India's efforts to make in-roads into power plants in coastal areas did not bear fruit as these power producers had to receive imported coal for orders placed in earlier years. Data compiled by Central Electricity Authority indicated that while some 5.12 million tonnes of coal was imported by power companies in January this year, 2.6 million tonnes of coal allocated to these companies by Coal India were not lifted. In fact, the power producers did not lift 40 per cent of the coal allocated to these coal importing power companies. Nevertheless, in FY2015-16, Coal India achieved a total production volume of 538.75 million tonnes against a target of 548.04 million tonnes and achieved a 9 per cent growth over the previous fiscal. Coal India's target for the current fiscal was set at 597.6 million tonnes thus requiring a nearly 11 per cent growth rate to achieve the volume. Data released by the state-run miner showed production of 488.06 million tonnes against a target of 535.38 million tonnes between April 2016 and February 2017. Sales during the same period was 490.86 million tonnes against a target of 540.31 million tonnes. 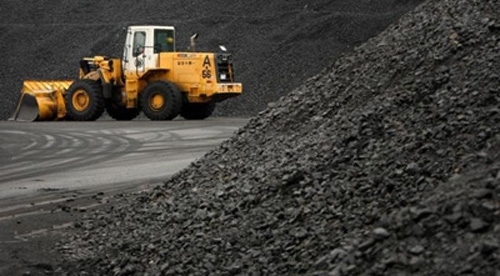 Coal India's target for the next fiscal has been pegged at 660.7 million tonnes and its targeted production of 908.10 million tonnes in FY2019-20 would require a compound annual growth rate of 12.98 per cent, with respect to FY2014-15 production figures.